If you want to get a local experience, I recommend that you should come to Bai Chay Tourist Wharf, which is a bustling hub of day-trip tourist boats in Halong bay. A 4-hour trip by boat to Dau Go and Thien Cung Caves is about $5. 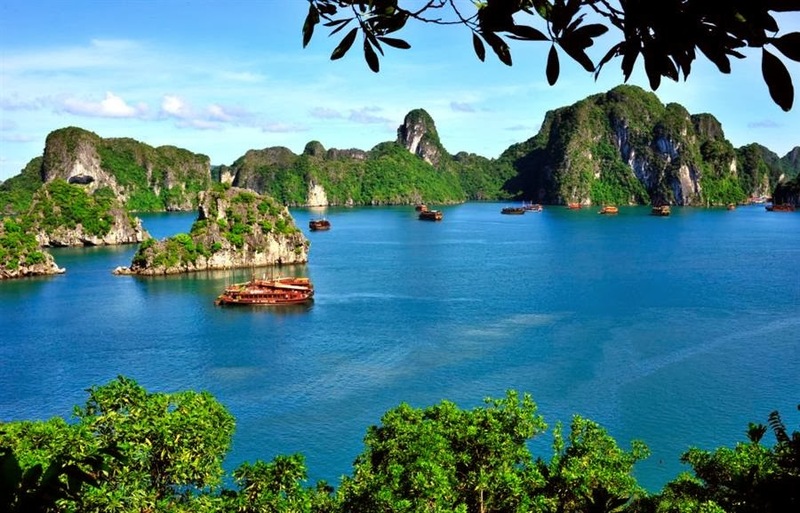 While the Halong Bay entrance fee is about $5.2, and the individual cave entry fees are about $1.3. If you are not afraid of being crowded, you can share the boat with others to get the low price. 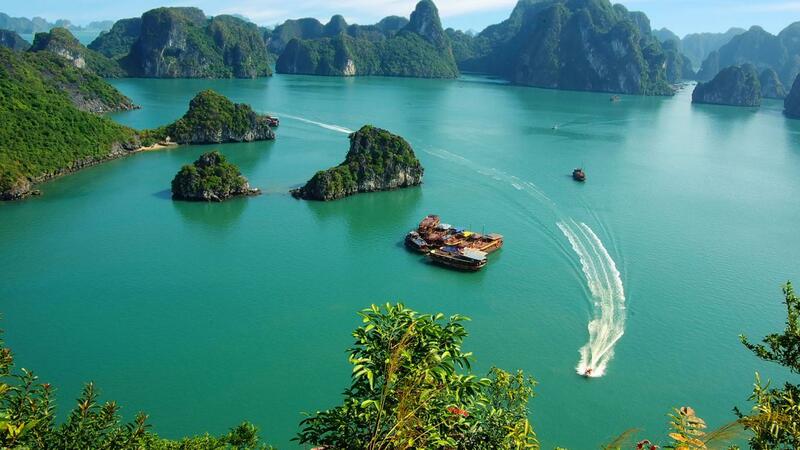 Also, travelers can choose budget or midrange cruises to sightsee Halong Bay. With $60, they will enjoy a day trip in an excellent cruise that offers comfortable hotel-style cabins, experienced onboard tour guides, and kayaking stops. Most foreign travelers love taking an hour or so of kayaking to paddle around the karts and behold the limestone towers from a different view. 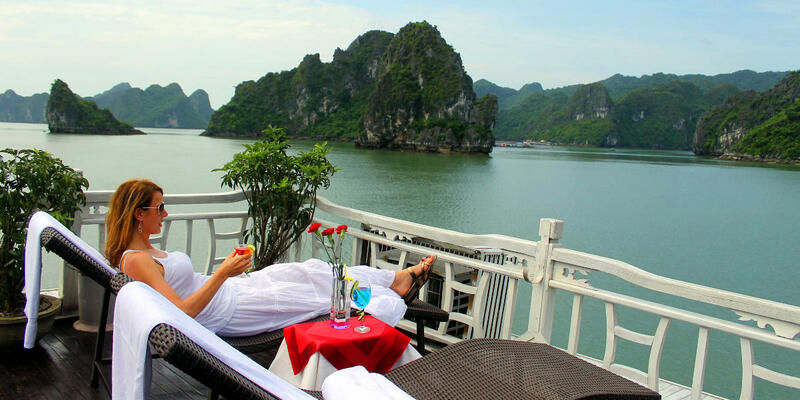 When the best time to visit Halong Bay? 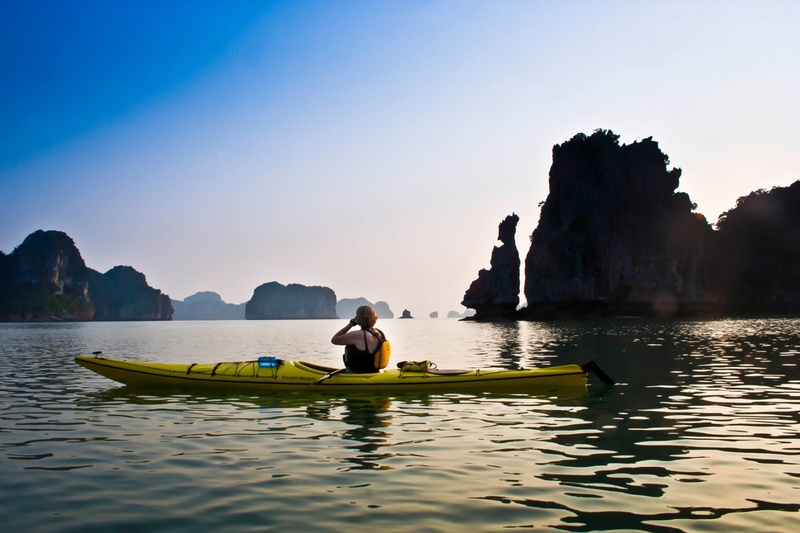 November is the best time to travel to Halong Bay to enjoy blue skies aplenty, mild temperature, and calm seas. 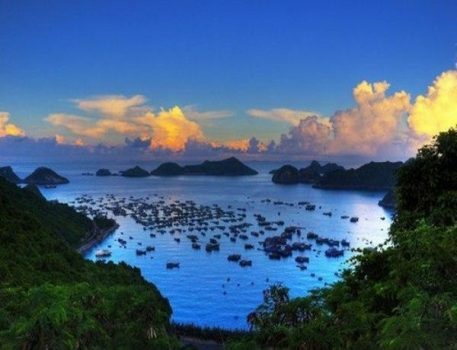 The high season for tourism in Halong is from June to mid-August. Additionally, there are some unexpected tropical storms from May to September. If you are going to visit this beautiful bay between February and April, you can relish a cool and drizzly weather. Although the fog can make your visibility low, the atmosphere is quite awesome. Although tourist boats and cruises operate every day, their itineraries might be changed because of weather or sea conditions. So, when booking the journey, the travelers should check the fine print for the refund for sure. 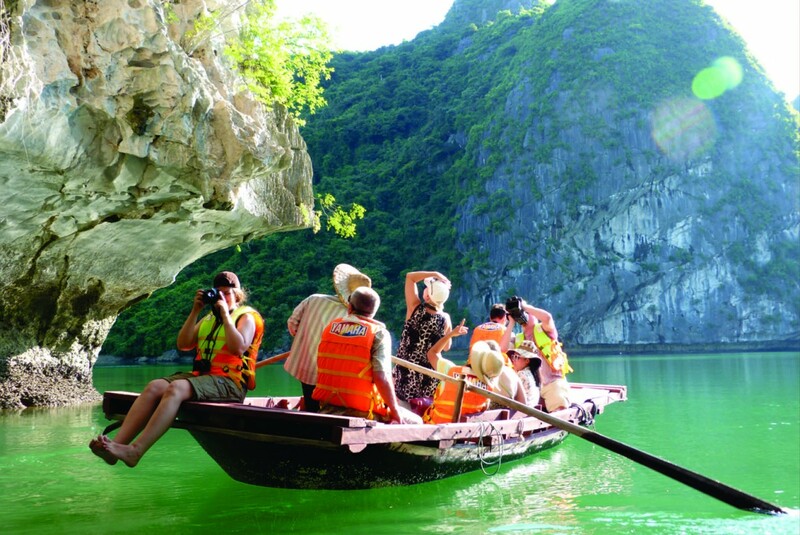 A travel Halong Bay by boat definitively makes your trip more enjoyable and unforgettable. Furthermore, the sea here still has a bright green color and the waves flow quietly. 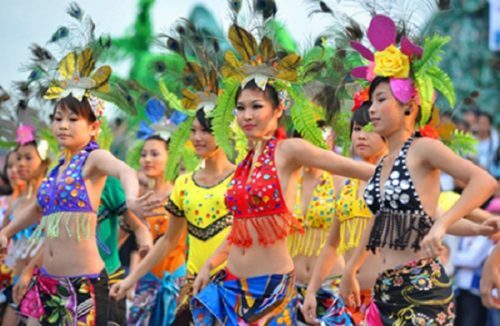 All are enough to attract any traveler who comes here for the first time. No matter what time you visit here, you will experience an incredible feeling. For instance, the atmosphere in the summer is calm and bright while the sun is falling into the sea. Or relish the moonlit night when staying a night on the cruise. There is no time to wait! 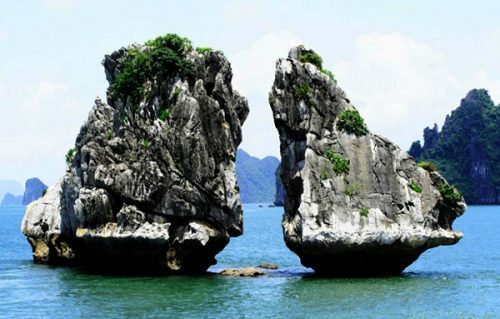 Let’s go and enjoy the natural beauty of Halong Bay!